This definitive new book should appeal to everyone who produces, uses, or evaluates scientific data. Ensures accuracy and reliability. 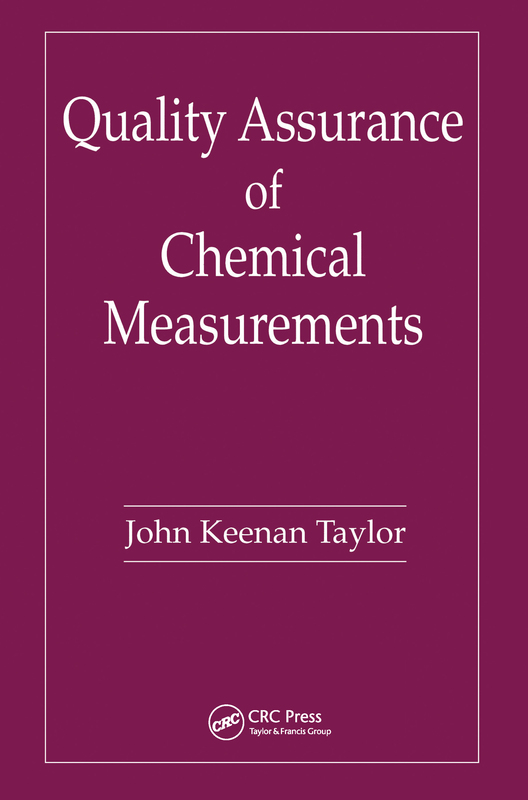 Dr. Taylor's book provides guidance for the development and implementation of a credible quality assurance program, plus it also provides chemists and clinical chemists, medical and chemical researchers, and all scientists and managers the ideal means to ensure accurate and reliable work. Chapters are presented in a logical progression, starting with the concept of quality assurance, principles of good measurement, principles of quality assurance, and evaluation of measurement quality. Each chapter has a degree of independence so that it may be consulted separately from the others.